This project is a great example of an urban industrial warehouse conversion where our Cheminee Philippe takes centre stage and characterises the living and dining areas without interrupting the space’s openness and minimalistic aesthetic. 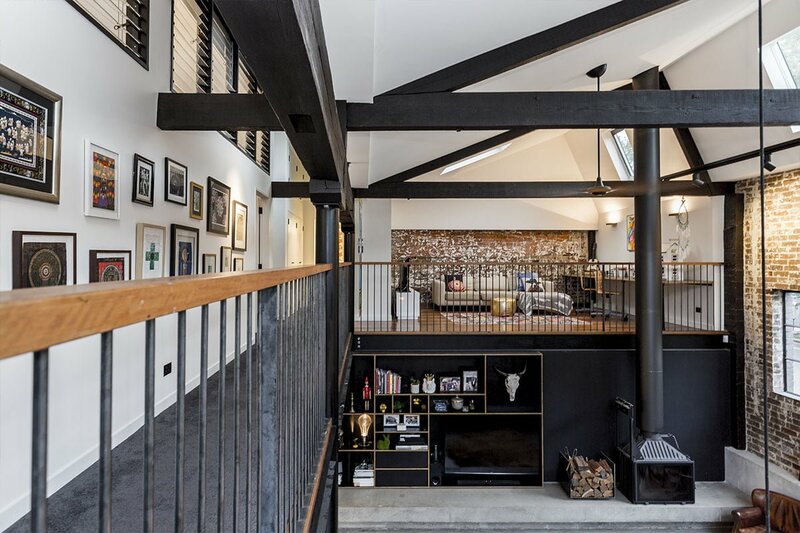 When SQ director Joe Sidoti got his hands on this old empty warehouse on Nelson St, he could only imagine what his future family dream house would look like. DA drawings were drafted by Humphrey + Edwards Architects. Once approved the SQ team got to work and showed its full potential. Materials from the existing building were salvaged and reused as much as possible. 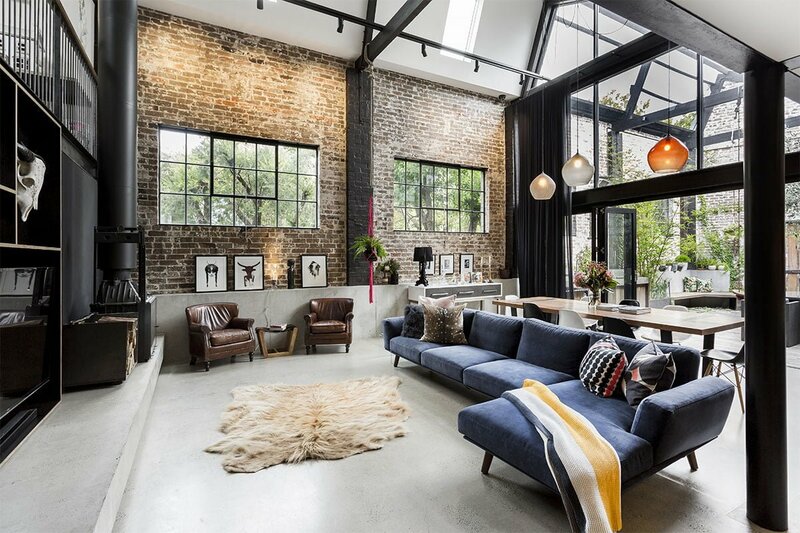 Raw steel, recycled timber, exposed brick and bare concrete were introduced to accentuate the original. The Annadale Warehouse is a marvellous illustration on the creative potential that exists in an industrial space. A huge area can be transformed into a sophisticated and welcoming home. The mashup of different textures and materials keeps your senses heightened. A warehouse can be viewed as a blank canvas screaming for paint or an open space begging to be filled. SQ Projects have clearly seen the potential of this space and have created something very unique and special. The Annadale Warehouse exudes a warm ambience despite its naked structure and offers an open plan living that is executed with a punch of elegance.